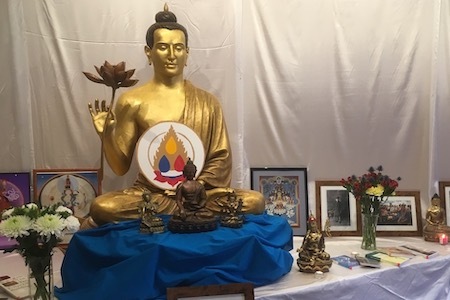 This day to commemorate our founder and teacher will be led by the Manchester Buddhist Centre Preceptors Kula, which includes Aparajita, Arthavadin, Dayanandi, Jayadevi, Mahasraddha, Ratnaguna and Taravandana. The morning is for Order members, and the afternoon includes the rest of the Sangha – Mitras and friends who have completed a Buddhism Going Deeper / Level 2 course. Please get in touch if you’re not sure. Free event. No need to book, just turn up a few minutes before we start. • 12.30: Wider Sangha arrives for shared lunch. Please bring vegan food to share. If it's vegetarian but not vegan, please label it clearly.